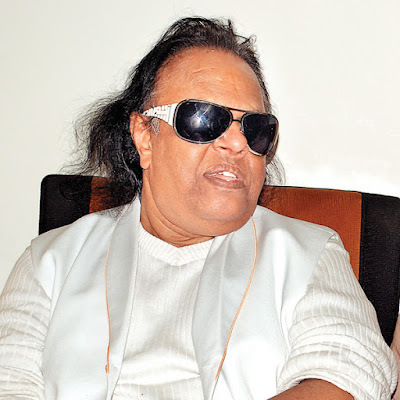 Veteran music director Ravindra Jain passed away in Mumbai. He was 71. He was admitted to Mumbai’s Lilavati Hospital following a problem in his kidney. Jain was shifted from Wockhardt Hospital in Nagpur to Mumbai by a chartered air ambulance for treatment at Lilavati Hospital in Bandra on Sunday. ANI tweeted the news of his death. The viaually-challenged musician Jain composed music for hit films like Chor Machaye Shor, Geet Gaata Chal, Chitchor and Ankhiyon Ke Jharokhon Se, in the 70s. He was given a big break by Raj Kapoor, for whom he composed many super hit songs in movies such as Ram Teri Ganga Maili, Do Jasoos, and Heena, which was directed by Randhir Kapoor. During the 1980s and 1990s, Jain widely composed music for many mythological serials such as Shri Krishna, Alif Laila, Ramayana,Sai Baba. For his collection of shayaris titled Ujaalon Ka Silsila in Urdu, Jain was presented with the Sahitya Award (UP Hindi-Urdu Sahitya Award Committee) in Lucknow by Romesh Bhandari, Governor of Uttar Pradesh. Ravindra Jain has also received many other prestigious awards such as Raaseshwar, Sur Singer, Filmfare Award, Swami Haridas Award, Youth National Award, Ashirwad, Adhar Shila, Uptron, Priyadarshini Award, Jaycees, Lions, Indigo '90, Rotary, Bengal Film Journalists' Association Awards, Uttar Pradesh Film Patrakar Sangh Award, Sangeet Gyaneshwar Award, Almost Faqir, Sangeet Samrat, and other honours by many national, international, socio-cultural and film institutions.